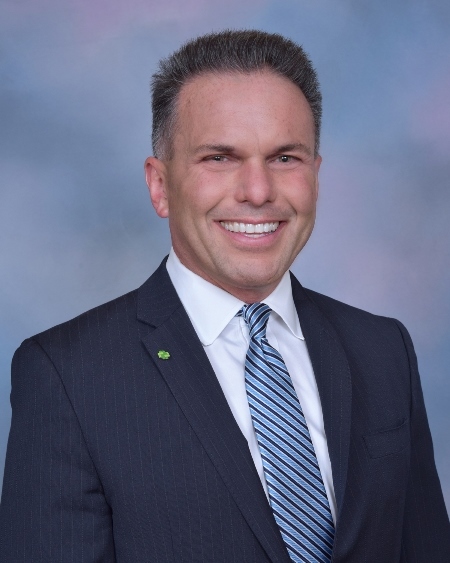 Short Hills, NJ - Investors Bank has appointed Michael Fegan as its Chief Information and Operations Officer. Mr. Fegan will be taking over many of the responsibilities that were managed by Executive Vice President of Operations and Technology Dan Harris, who is retiring on July 1, 2017. Mr. Fegan will immediately begin his new duties and report directly to Investors Bank's Chief Operating Officer Domenick Cama. Mr. Fegan will be responsible for Deposit Services, Cash Management, the Deposit Control unit, the Enterprise Project Management Office (Enterprise PMO), and Loan Servicing for both commercial and residential clients. Senior management has also charged him with continuing the ongoing transformation of Investors Bank's technology and client service functions by aligning innovative, robust and forward-looking technology solutions with business goals and objectives. In announcing Mr. Fegan's appointment, Mr. Cama said, "Michael has the expertise to manage and enhance the operational and technology functions that will continue to drive our business growth. He will also introduce innovative information technology solutions to broaden our competitive edge, increase customer satisfaction, and make our organization more efficient. As a forward-looking executive, he will augment our processes to raise productivity and continue our culture of leadership among our people." Mr. Cama also said, "We know Michael possesses the skills, expertise and leadership to successfully succeed Dan Harris, who guided us through major technology, process and systems transitions during his exceptional career at Investors Bank." Prior to joining Investors Bank, Mr. Fegan was Chief Operations and Technology Officer and Executive Vice President at Bank Leumi from 2013 to 2017, where he had responsibility for Banking and Brokerage Operations, Technology, Information Security, Program Management, Business Relationship Management and Vendor Management. Previously, he served as Chief Information Officer for Suffolk County National Bank from 2011 to 2013, where he managed the day-to-day execution of Bank Operations, Information Technology, Program Management Office, and Information Security. In addition to his professional responsibilities, Mr. Fegan actively supports both Plan International and the Nature Conservancy. Through Plan International, he provides resources to children, who live in foreign countries. Those funds have long lasting and positive impact on the children's lives as well as their families and communities. Mr. Fegan, a graduate of Northwestern University, earned a Bachelor of Science degree in Education and Social Policy with a concentration in Business Management and Organizational Studies.